The main item on display at the Zalman suite was its upcoming X7 full tower chassis, which is still in the alpha stage of production. 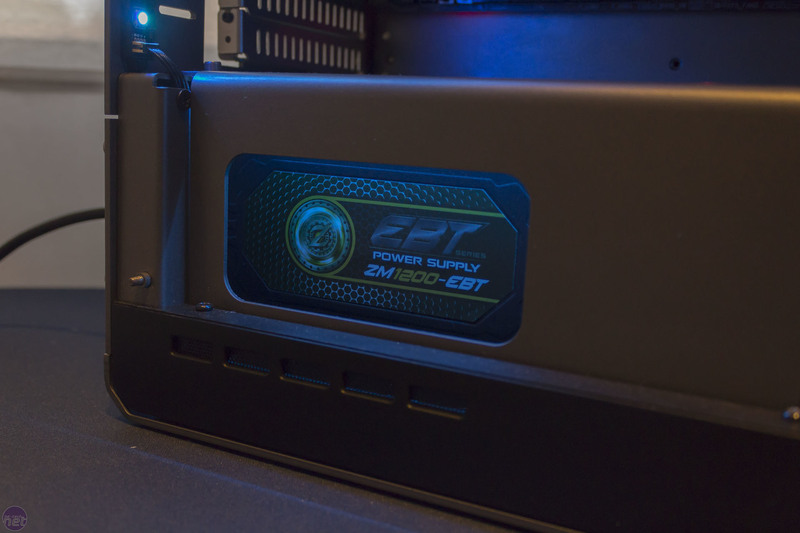 Targeting high-end builds, the prototype you see has a full steel construction with acrylic side panes, but the final product may move to aluminium and the panels will change to tinted fibreglass. 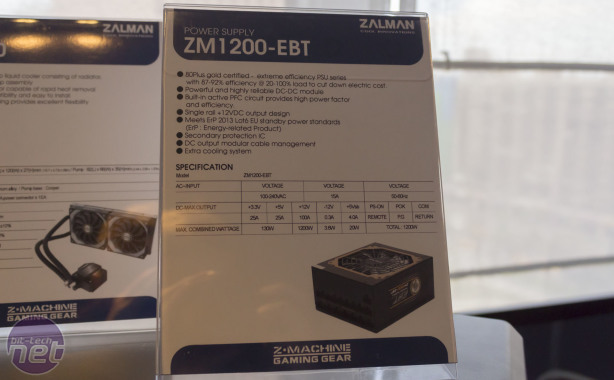 It is expected to retail for $170 or just over $200 if aluminium is used – Zalman plans to have at least five fans installed by default. 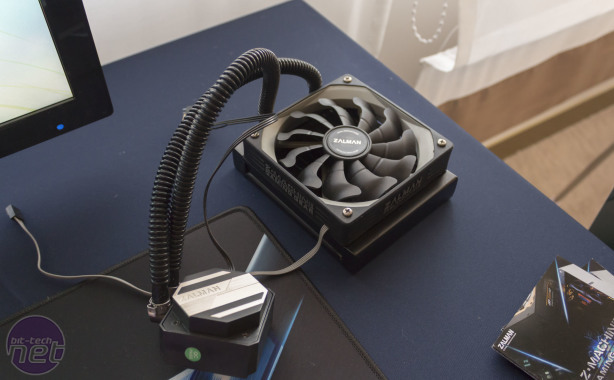 It can accommodate up to 280mm or 360mm radiators in both the roof and front, with the top one easily installable via a slide-out bracket. 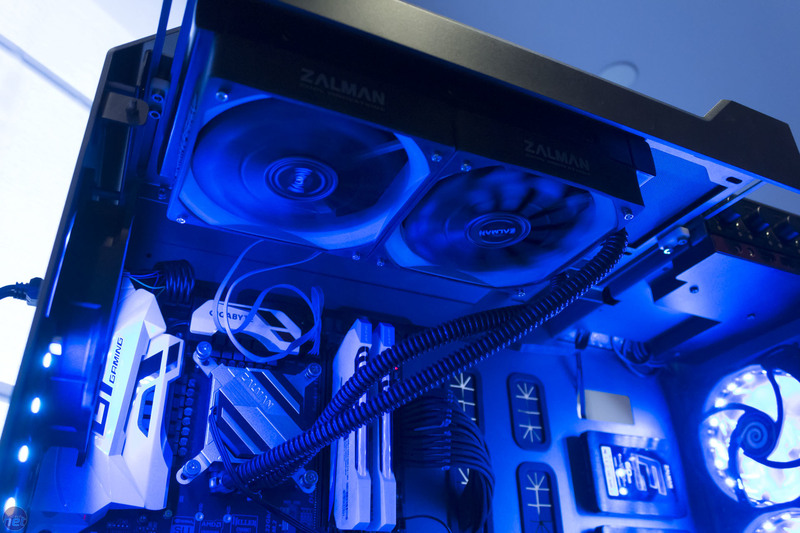 A PSU cover helps to keep things tidy and despite appearances the case does still retain optical drive support – you can see a fan controller occupying this at the top, facing sideways. Availability is expected to be Q4 this year. 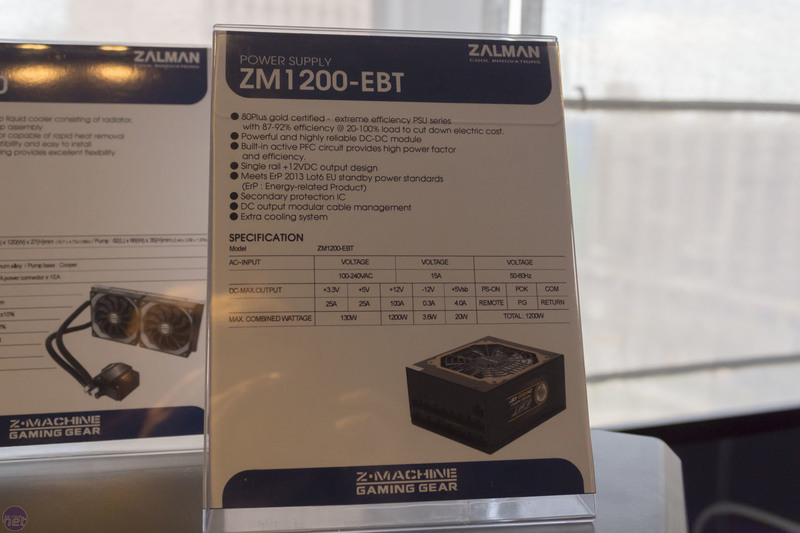 Also installed in the X7 on display was the upcoming ZM1200-EBT, which has 80 PLUS Gold certification and a single 12V rail design. 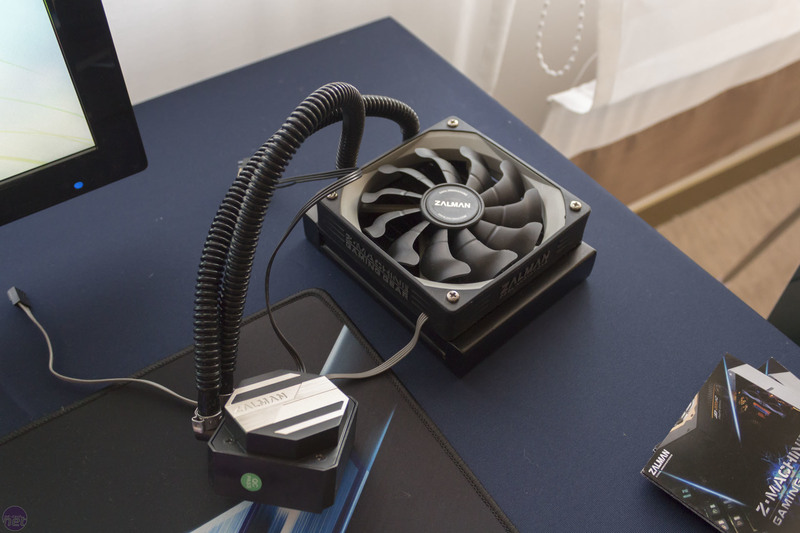 Cooling the CPU was the HQ740 all-in-one liquid cooler, a 240mm model which also has a 120mm counterpart, the HQ720. 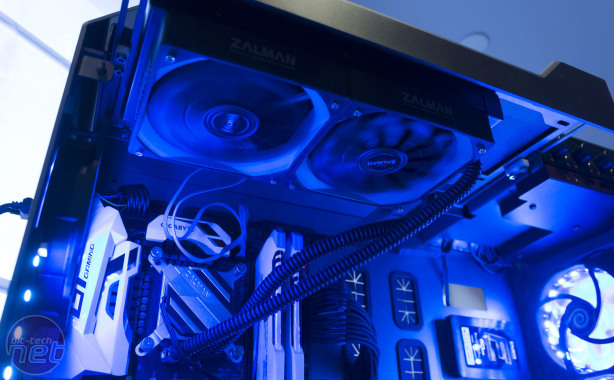 Zalman was unable to reveal the OEM used for either the coolers or the PSU. 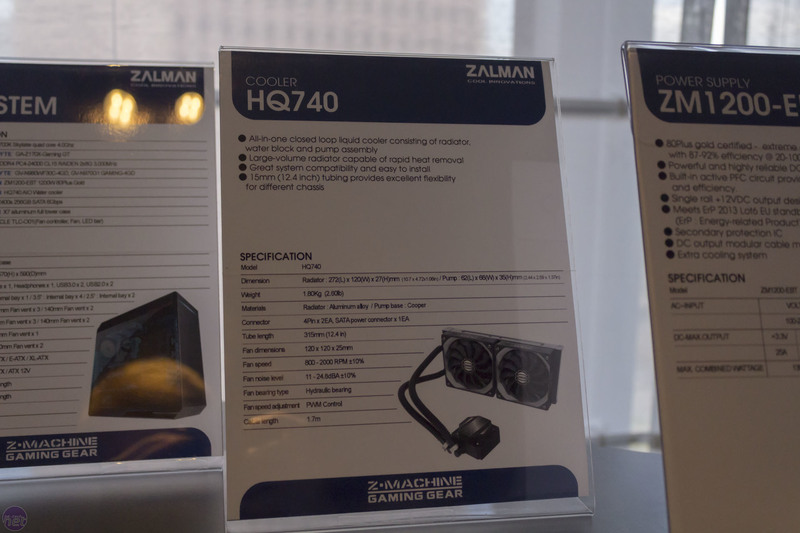 All three are expected to launch late Q3 or early Q4, with retail prices of $70 for the HQ720, $100 for the HQ740, and around $200 for the power supply. 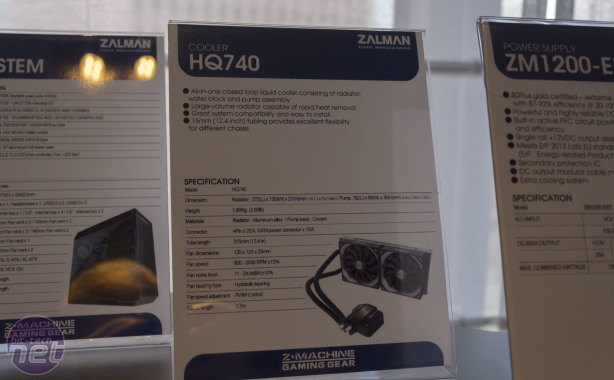 Zalman had a series of new peripheral on display as well. 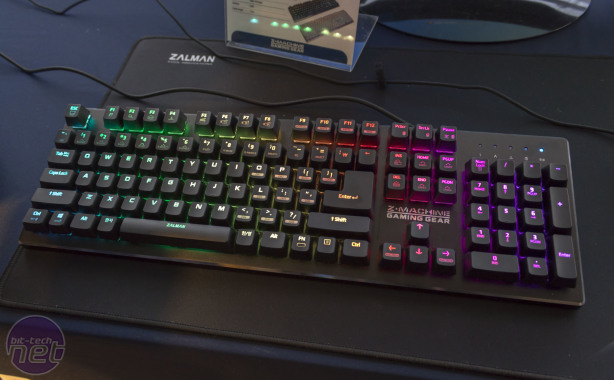 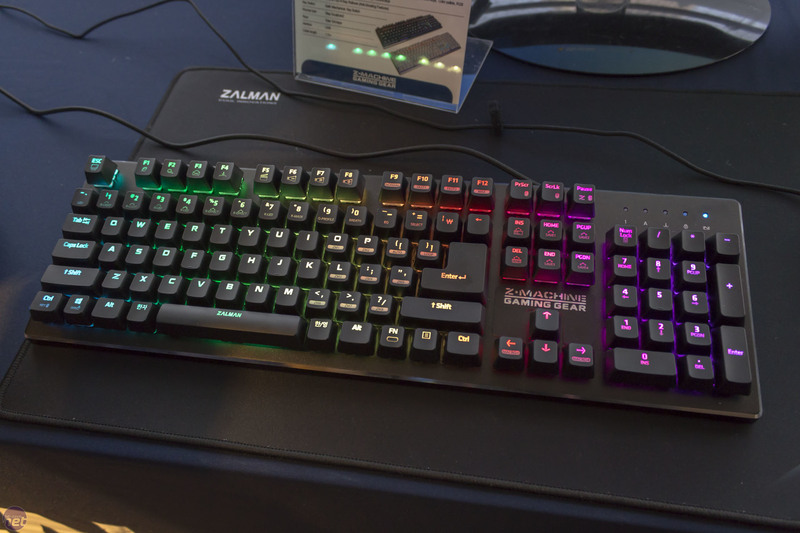 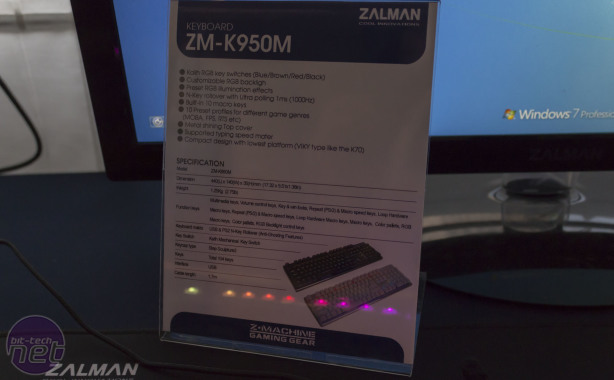 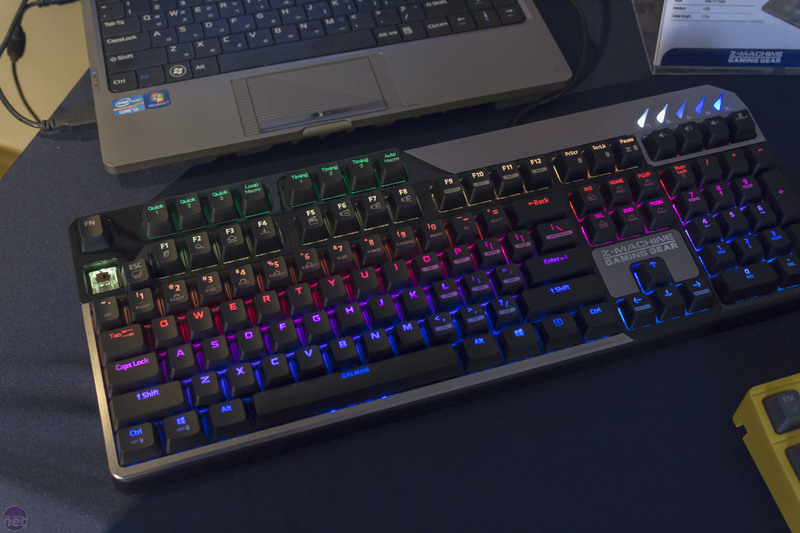 It had three RGB keyboards on display; one, the ZM-K970M, utilising Cherry MX RGB switches and the others, the ZM-K950M and ZM-K900M, using Kailh switches and available in two models, one with a plastic cover (just released) and one with an aluminium faceplate. 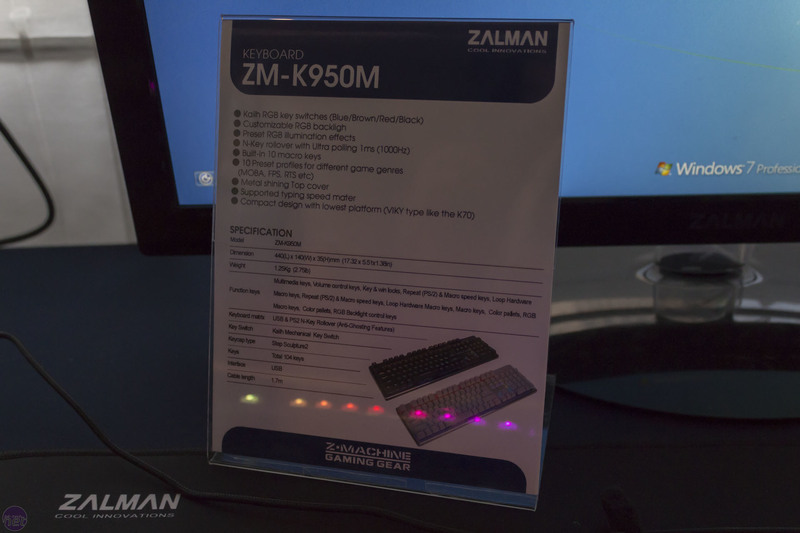 Pricing is set at $139 for the ZM-K970M, $110 for the aluminium covered ZM-950M and $100 for the ZM-900M, but Zalman says it will be running promotions on them at launch. 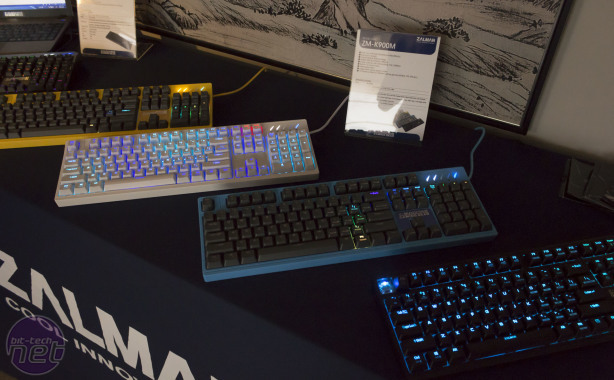 The keyboards are customisable both in terms of per-key lighting patterns and macros across multiple profiles. 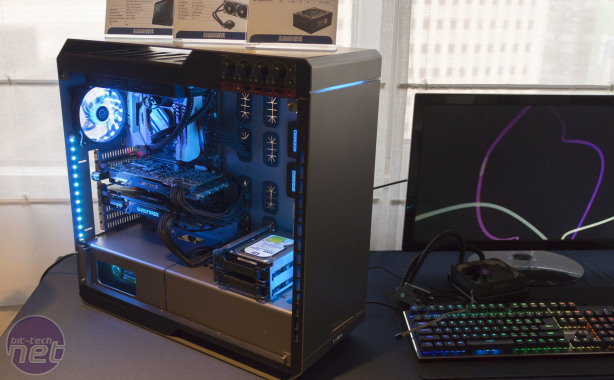 This is all done entirely via plug-and-play with no software required and compatibility with Windows, Linux and Mac all promised. 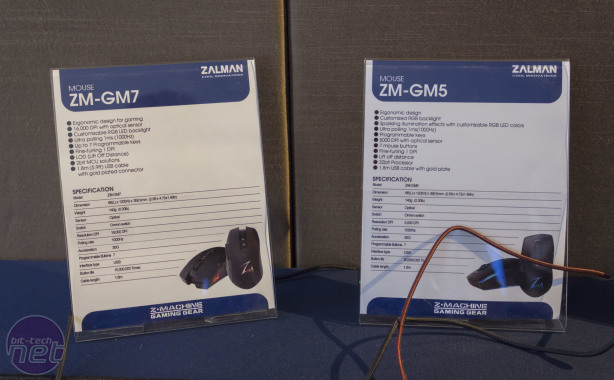 With regards to the Kailh switches, Zalman says it does its own sorting and testing when purchasing them, but didn't go into specifics. With a bucket full of water, Zalman demonstrated its waterproof keyboard, claiming it can remain submerged for 24 hours without failing. It sees it as useful for messy gamers, children and certain businesses like restaurants. 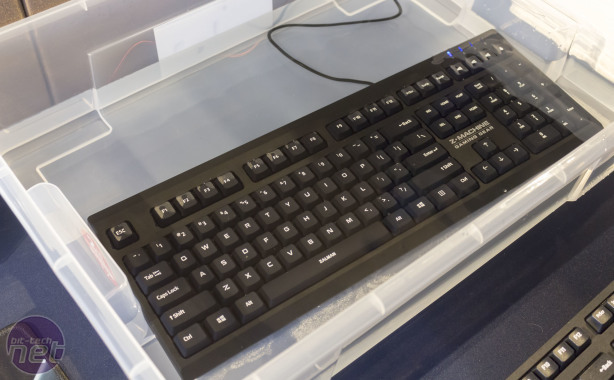 It should retail for about $25. 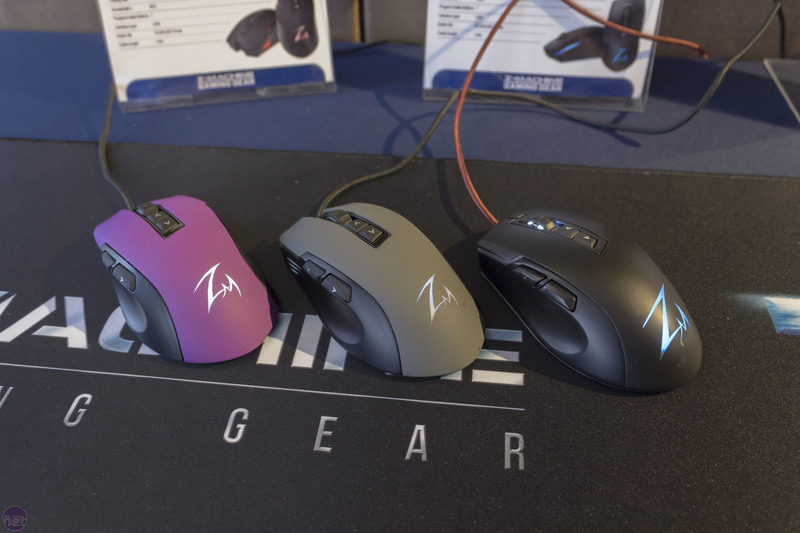 Lastly, we saw a pair of mice – the 16,000 DPI ZM-GM7 and the 5,000 DPI ZM-GM5. 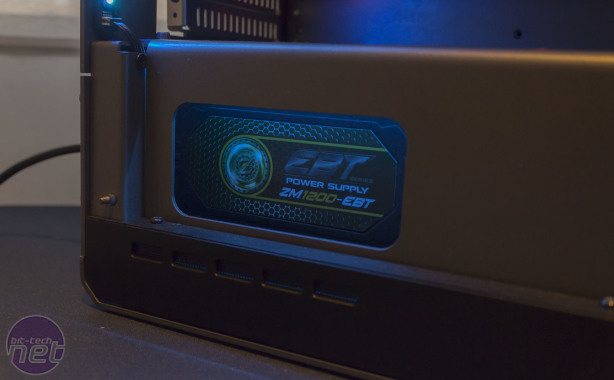 We were told that DPI is effectively the only difference between them. They have seven programmable buttons, Omron switches (probably only under the main two buttons) and a soft-touch, rubberised surface. 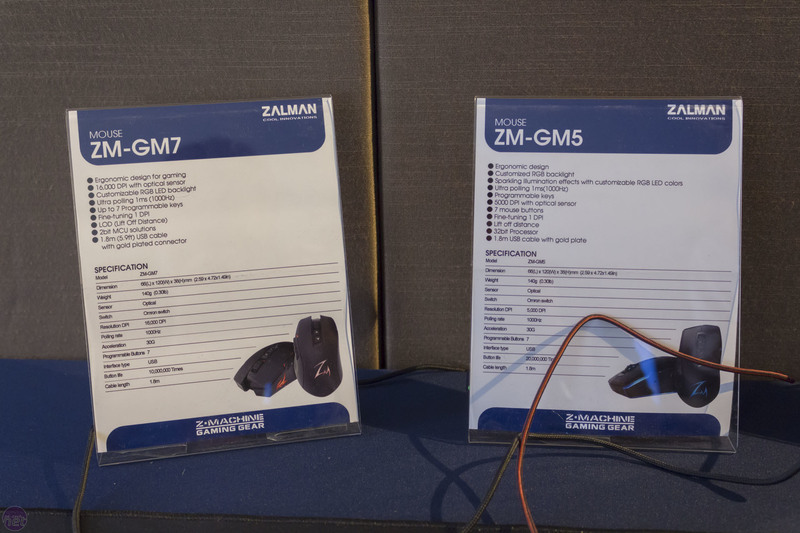 They will retail for $42 (ZM-GM5) and $45 (ZM-GM7).